With the higher education industry transforming at a rapid pace, institutional leaders must have the vision and knowledge to lead in the 21st century. AGB Search understands the challenges leaders face and offers a range of learning and development resources. Most higher education institutions, at some point, find themselves in need of a seasoned leader who can step in temporarily to maintain continuity during a full search. Below, Joseph Johnston, Ph.D., head of AGB Search’s Interim Search Practice, provides insights about the process and benefits of appointing an interim leader. This month's contributor, Joseph Johnston, is an AGB Search Principal. Foremost among the responsibilities of a college or university governing board is the recruitment, evaluation, and support of the institution’s president. This includes, fundamentally, providing for reasonable compensation of the president—a task that is now more challenging than ever, because the job of being a college or university president is now more challenging than ever. 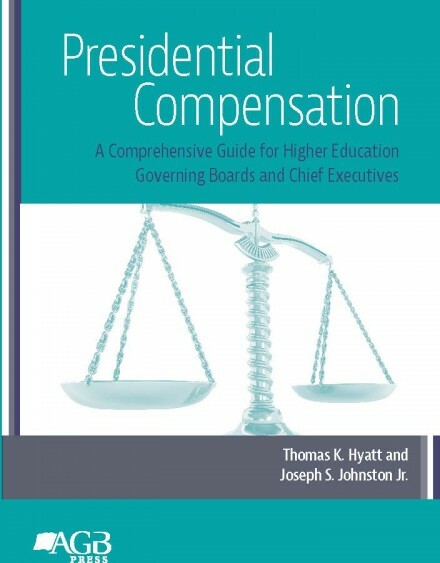 Trustees must be vigilant in carrying out their responsibilities in hiring presidents and chancellors, establishing appropriate levels of compensation, and assessing the performance of these leaders. Calling upon colleges and universities to take a fresh look at their internal processes for leadership development and succession planning, this book assesses the state of the academic presidency. 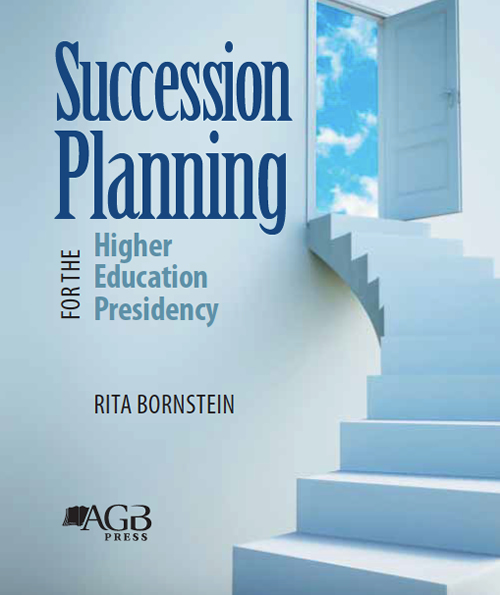 The author offers questions to consider, recommendations and concrete examples of succession planning steps to be taken by boards, institution leaders, and aspiring leaders. The selection of a president is a board’s most important responsibility, and the search process is the best opportunity to help guide the institution into a successful new era. 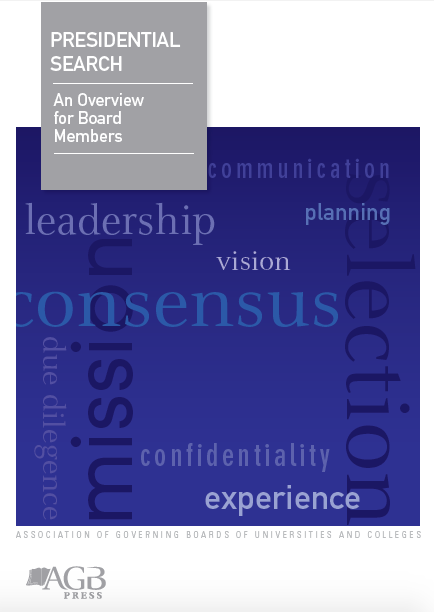 This concise guide outlines the leadership roles during a search (those of the board, the board chair, the search committee, and others), briefs board members on their responsibilities during the process, and offers tips to facilitate a successful transition. Focuses on best practices and is specifically geared toward university and college boards and search committee. It also aims to help sitting presidents and their advisors in transition planning and the search process. 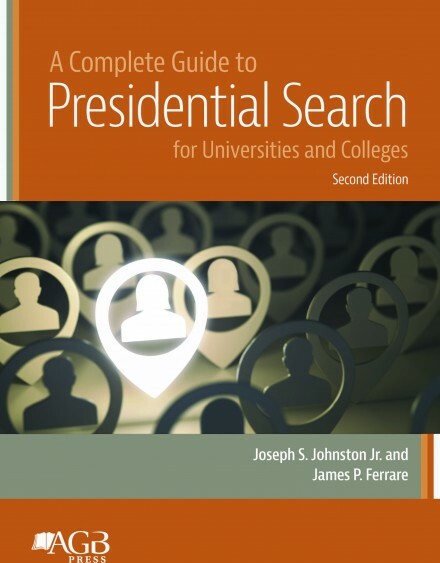 Aspiring presidents will find great insight into how the search process works and what to expect if they apply for a leadership role.